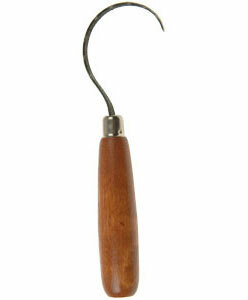 * This handmade tool can be used by both a potter working on a wheel or a sculptor working in clay. * A well-balanced handle offers a good grip. * The loop is made form high carbon steel. * The edge is ground sharp and is toothed.